The job market is more competitive than ever and employers are asking for more qualifications and more experience. Meanwhile, many applicants still feel they’re being discriminated against either for their age, their gender or for their ethnicity. It’s no wonder many of us feel the urge to lie on our CVs. In fact, a recent study found that 38% of Brits admit to lying on their CV. But is all this fibbing really worthwhile? Given that most of us now have some form of digital footprint, lying about one’s background and identity is much more difficult. Many employers now trawl through applicants’ social media pages to see what kind of person they’re dealing with. It’s also easy to find company contact details online and contact a past employer directly, even if you haven’t provided a reference, making it easy to find out whether an applicant really did work for the company they say they did or if they really did leave voluntarily. On top of this, many employers now verify IDs, identities and documents using Netverify and other screening programmes, making it possible to trace if someone is using a false identity. All in all, there are lots of ways for an employer to get to the truth if they need to. It’s often said that a good liar needs a good memory. If you are lucky enough fib your way into a job, you’ll then have to continue the lies you told in order to keep that job or risk coming clean and get fired. You may even have to lie to your colleagues to stop them telling your employer the truth. Before long, you’ll have spun yourself a web of lies which could become difficult to keep track of. When you obtain something through dishonest means, you don’t have that same sense of personal achievement. In other words, if you do get the job through lying, you’ll likely not feel good about it. 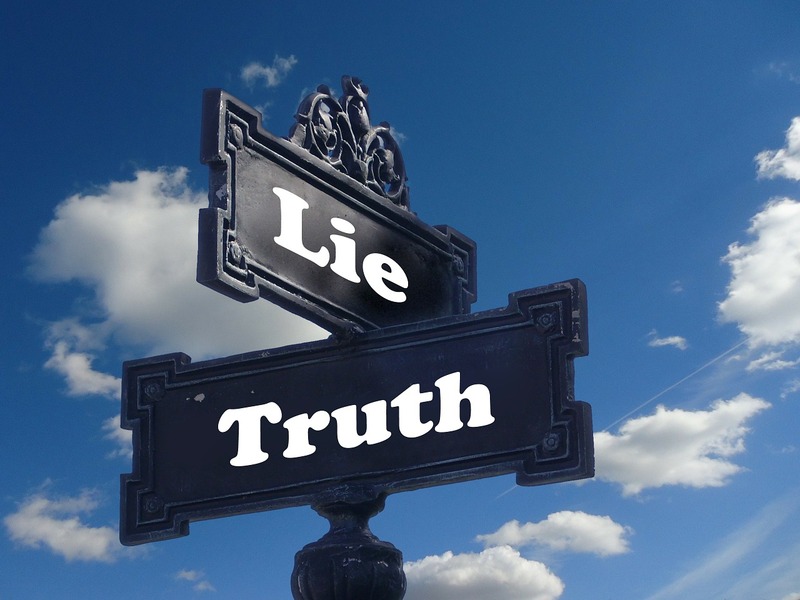 This could lead you to eventually feel as if you don’t really belong there – you won’t have worked for that role the same way that your colleagues have and you’ll be living a lie. Once you get caught out for lying, your employer will have a hard time trusting you. If it was a big lie, you could be made to leave. You won’t be able to get a reference and it will all in all be a waste of your time and energy. It’s important to note that just because you shouldn’t ever lie in your application, that doesn’t mean that you should tell your employer every gritty detail. When it comes to information that may harm you chances of getting hired, simply omit this information entirely. By not mentioning it, nobody needs to know the truth until the topic is brought up by your employer. Too many people feel that they have to list all their qualifications and all their previous jobs on their application. In reality, you don’t have to tell your employer you got a F in English or that you worked at your last job for only a month. By focusing on your positive attributes and leaving out the negative attributes, you can create an application that showcases the best of you without having to lie. Remember that you may also be able to turn weaknesses into strengths. A mistake in your life that you overcame could be proof that you’ve learnt from your mistakes and that you’ve become a better person because of it. Some weaknesses can also double up as strengths. Someone who is quiet is a good listener, whilst someone who is a control freak is a perfectionist – use the latter to describe yourself and you’ll be turning a negative quality into a positive quality without having to lie. This guide at Inc details more about turning strengths into weaknesses. Do you have any examples of turning a negative quality into a positive one? Let us know in the comments.